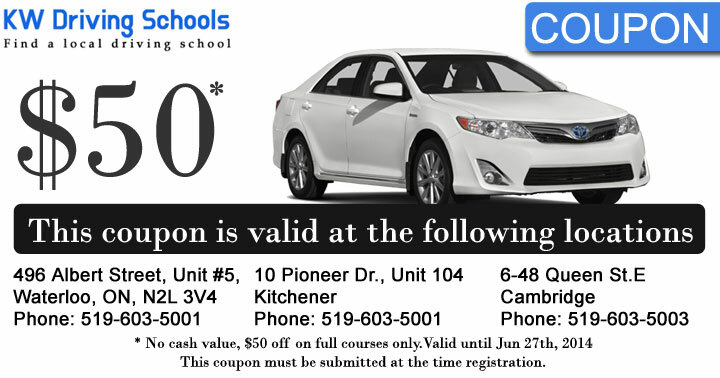 "Find a Kitchener-Waterloo Driving School" offers information on driving schools located throughout KW area. Our directory carefully sorts this information and conveniently provides the records by city & landmarks, so you can determine which schools are situated near you. Each listing contains brief contact details (address, telephone, email address and website) and some information about what kind of services this particular school provides. Most driving schools in our directory generally provide defensive driving courses, teen driver education, truck driving programs, as well as driver safety courses. We have almost complete and detailed index of driving schools, driving lessons, truck driver training, and driver education across KW Area. Our online directory of Kitchener-Waterloo, Cambridge, Guelph, St Jacobs, Elmira, New Hamburg driving schools, teen driving school and advanced driver training. Why join Beginner Driver Course? Getting a driver`s license is often viewed as a modern day rite of passage and just like in the days of yore, this rite of passage comes with a certain element of danger. According to the Ministry of Transportation, car accidents are the leading cause of death for Canadians younger than 25. Perhaps this statistic explains why an increasing number of Canadian motorists are opting to enroll in driver`s education courses. Attending a driving school offers numerous benefits.